Our next stop on The Spice Trail takes us to the world of cinnamon, one of the most evocative spices I know. When I smell cinnamon, I immediately think of sweet, sugary things like apple pies and Danish pastries, or rich fruit cakes and mulled wine at Christmas time. But of course, cinnamon (and its close relative cassia) are also a glorious ingredient in many savoury dishes and you’ll find it widely used in Mexican, Middle Eastern and Asian cuisine. 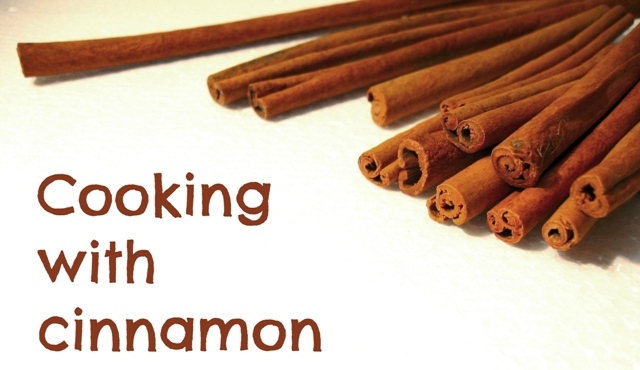 So this month I’d love to hear how you like to cook with cinnamon. Share your recipe posts by 30 December and at the end of the month I’ll bring you a round-up of sensational dishes celebrating cinnamon. And at the end of the cinnamon challenge, one lucky winner selected by our guest judge will receive an amazing Tasting for Two voucher from the good people at Buyagift. With this tasting experience, our lucky winner and their chosen companion will get to discover a whole world of new tastes, textures and exciting flavour combinations. Whether you love sweet or savoury, great British grub or international cuisine, there’s a great selection to choose from – including refined afternoon teas, olive oil tasting, sushi making, cookery classes, brewery tours and wine tasting experiences. What’s more they are available at a wide range of venues right across the UK. 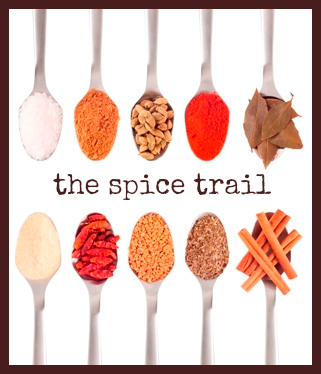 Display the The Spice Trail badge (on the left and also available here) on your recipe post, and link back to this challenge post. You may enter as many recipe links as you like, so long as they feature this month’s key ingredient, cinnamon – be it stick or ground, and feel free to use cassia bark as well. Send your recipe URL to me at vanesther-at-reescommunications-dot-co-dot-uk, including your own email address and the title of your recipe or post. The closing date this month is Monday 30 December 2013. Feel free to republish old recipe posts, but please add the information about this challenge and The Spice Trail badge. As entries come in, links to these will be added to this page. At the end of the month a guest judge will choose a winning recipe and the winner this month will receive a brilliant Tasting for Two choice voucher from Buyagift. The winner will be announced in a monthly round-up of all the entries. 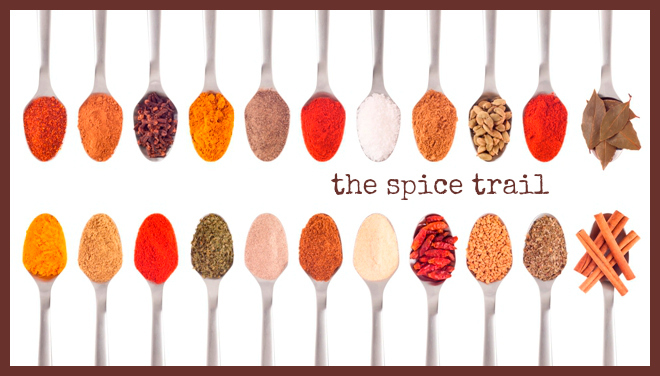 I can’t wait to see what dishes you come up with for The Spice Trail. Any questions, please tweet or email me. I’ve sent some recipes I’ve already written but will think of more over the month. I love cinnamon and it’s so Christmassy.